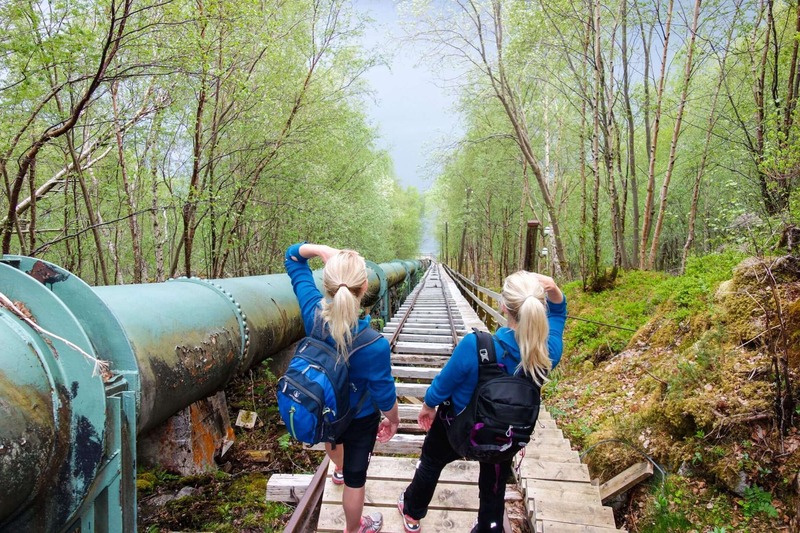 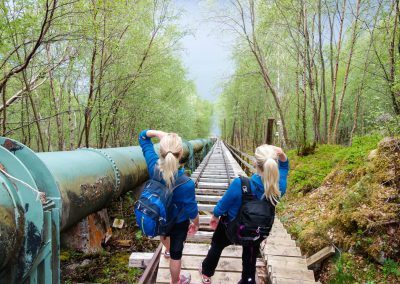 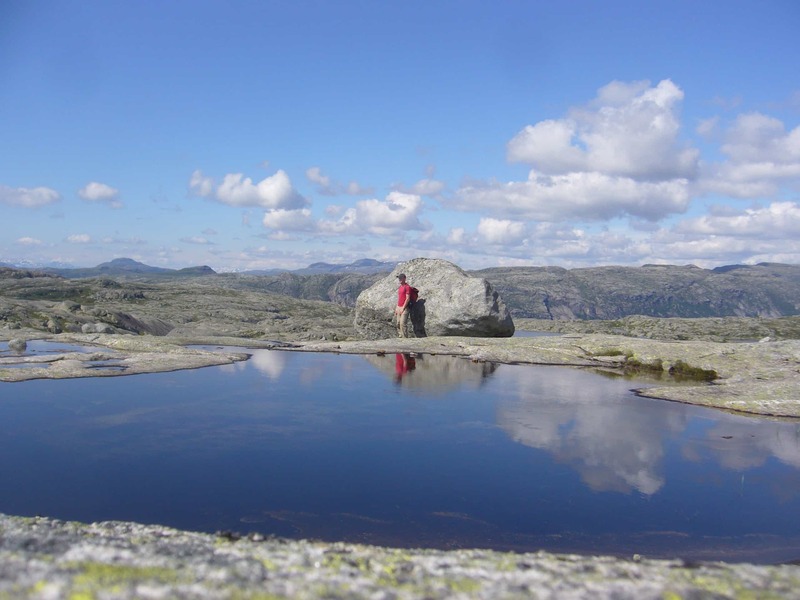 Hike all highlight attractions – stay in Flørli! 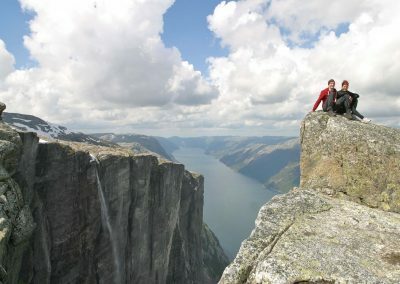 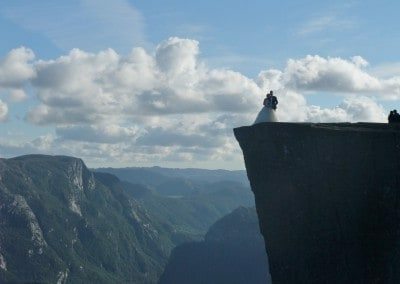 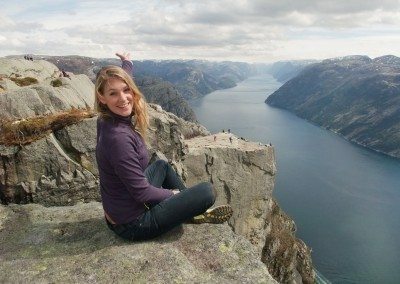 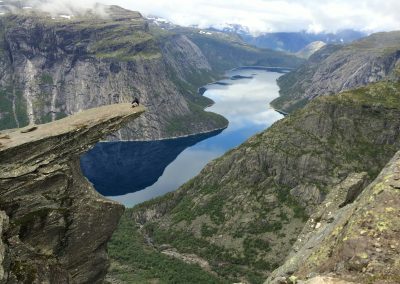 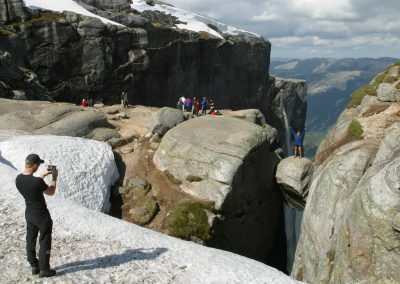 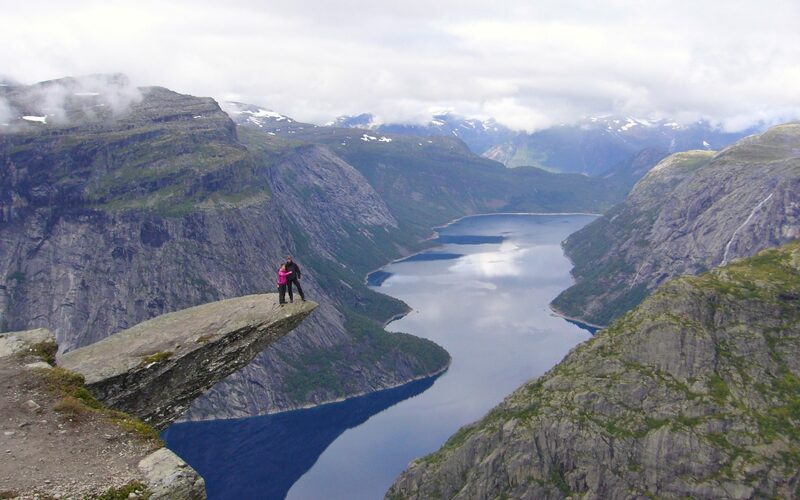 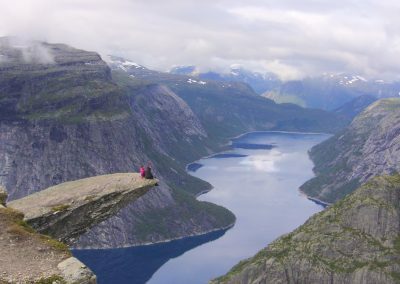 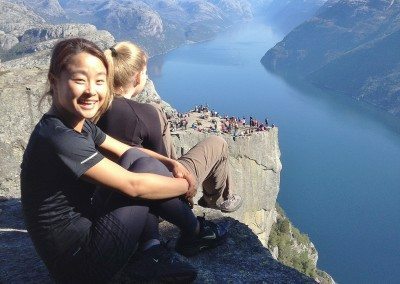 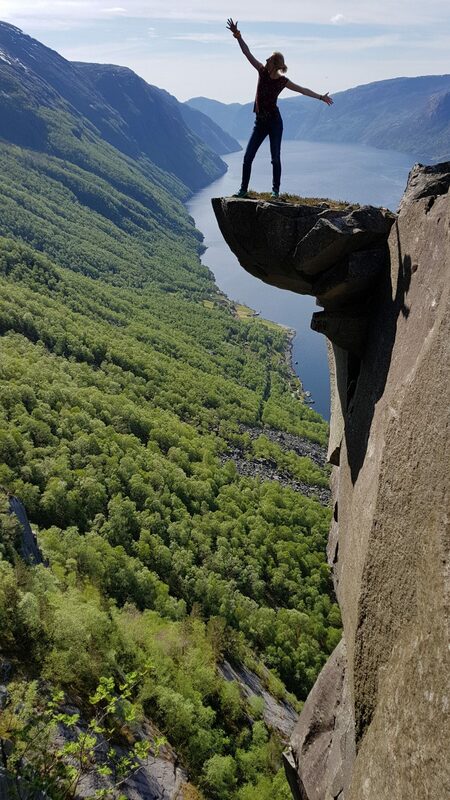 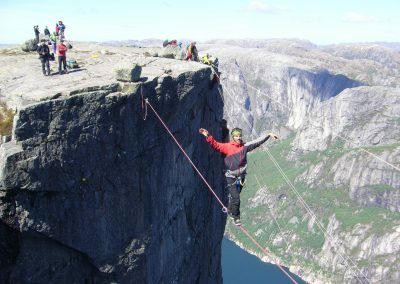 Hiking Trolltunga, Preikestolen (Pulpit Rock) and Kjerag (Kjeragbolten): these highlights of southern Norway can be combined with a visit of Flørli. 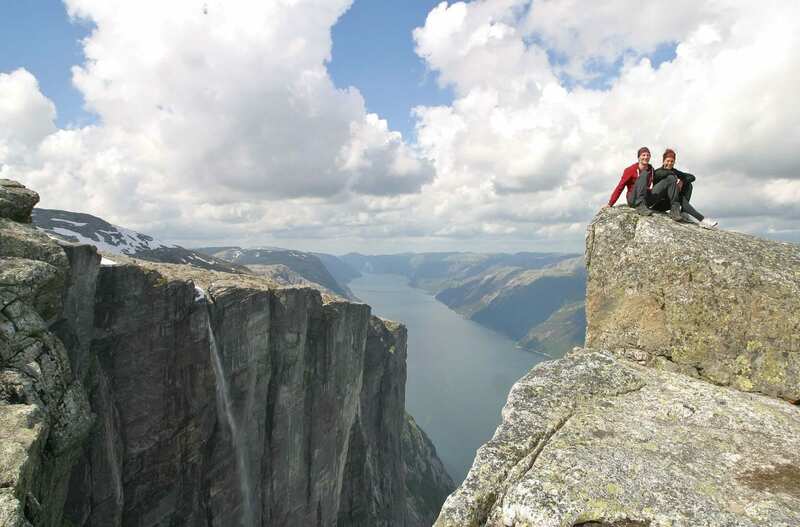 These main attractions are often combined. 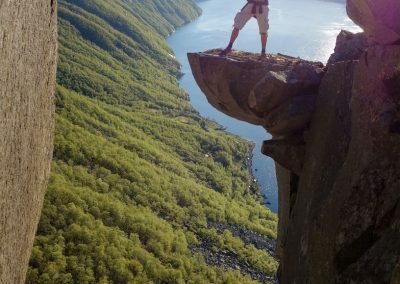 This is how. 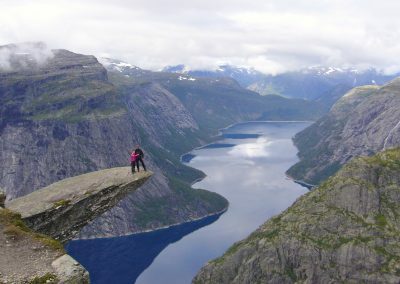 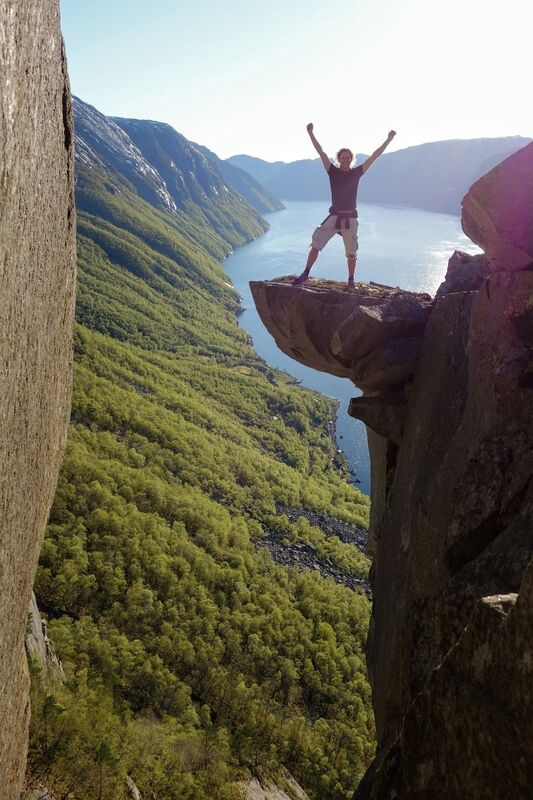 If you have your own car, start in one end, for example Trolltunga. 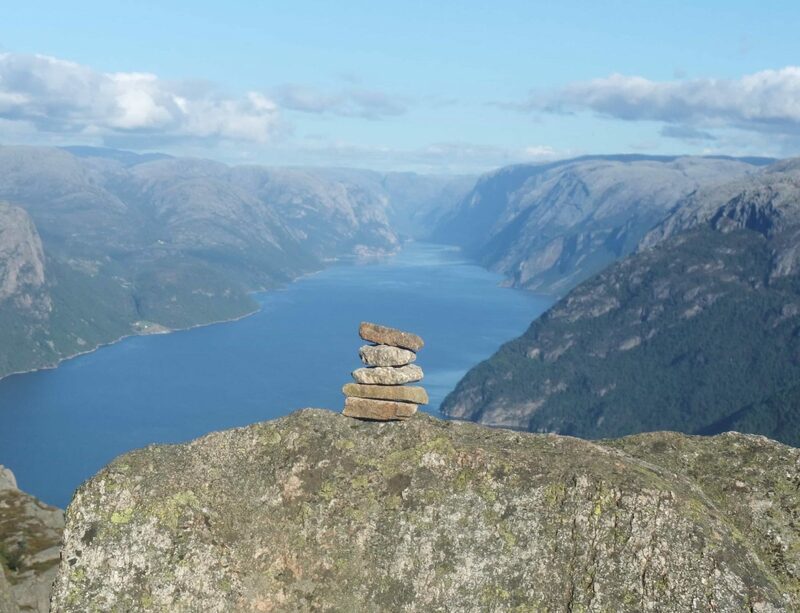 Remember this is a tough hike and you’ll need to spend two nights in the Odda area or be prepared to make a long day. 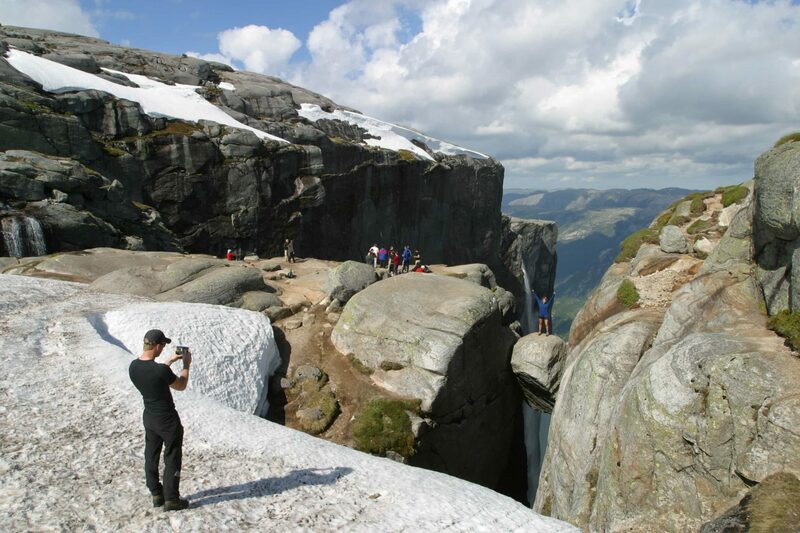 After Trolltunga, drive to Songesand and take the ferry to Flørli, bring your car on the ferry. 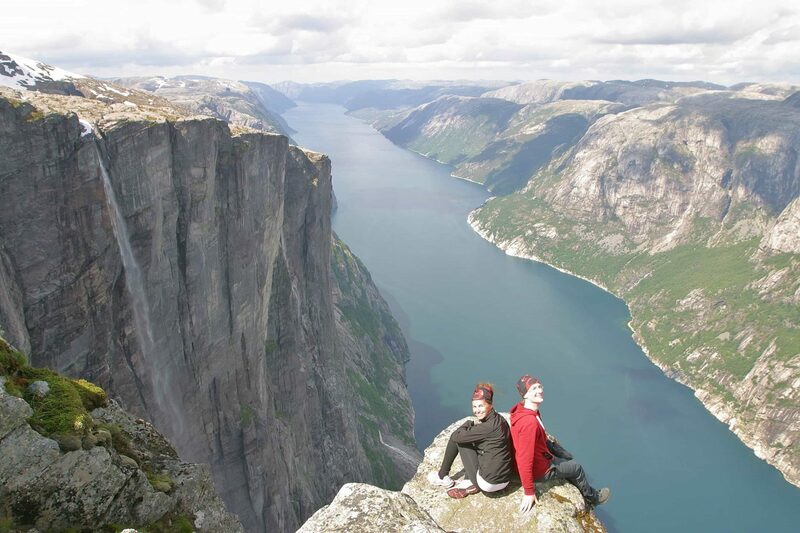 The drive takes at least 3 hours and the last Kolumbus ferry leaves at 14:20 – you need to reserve in advance. 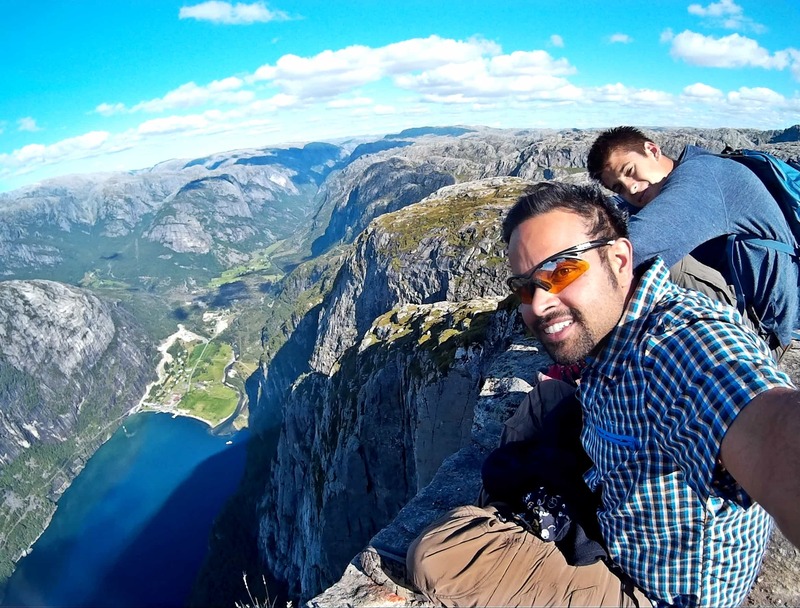 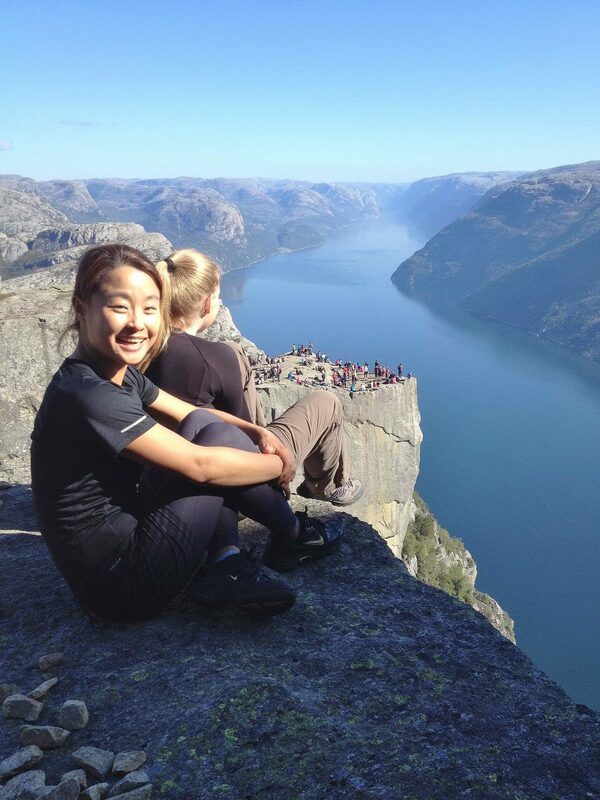 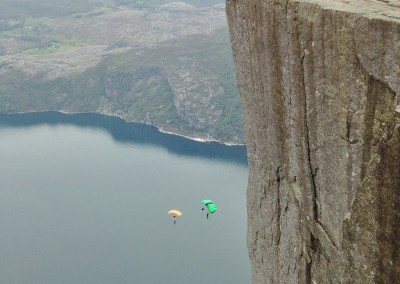 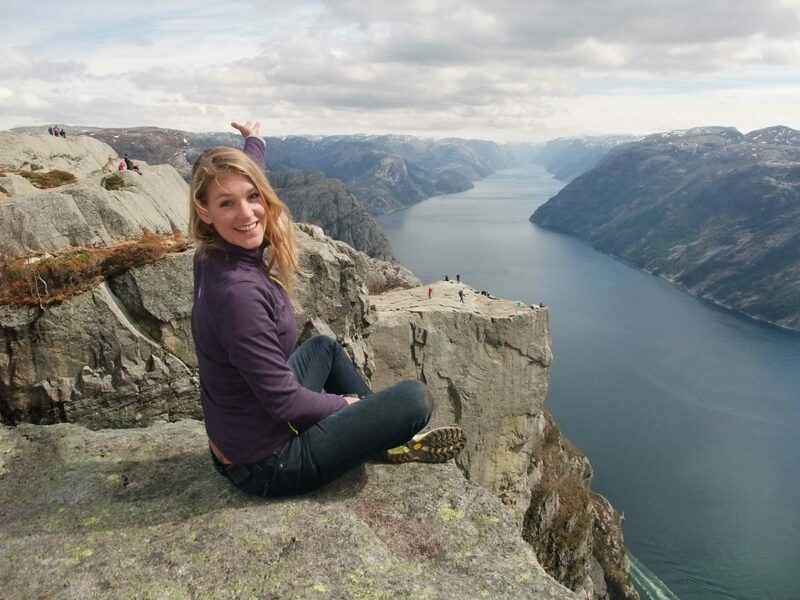 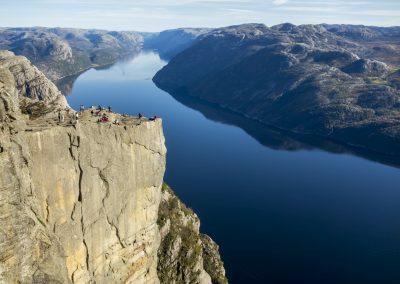 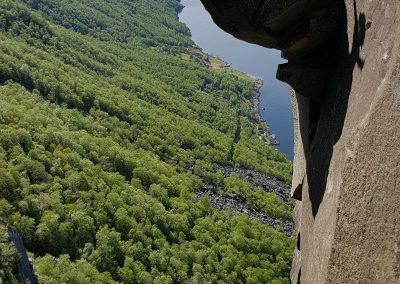 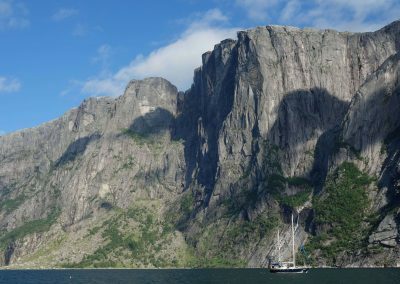 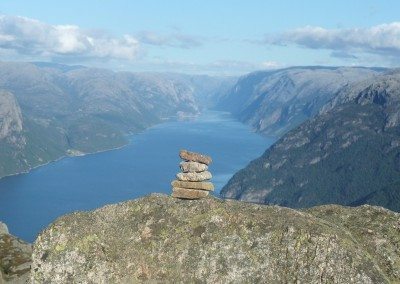 Use Flørli as your base for visiting Preikestolen and Kjerag, read how. 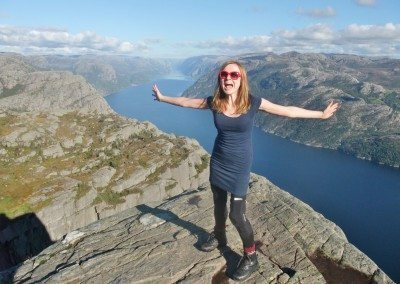 You’ll spend 2 nights in Flørli, 3 if you also want to hike the Flørli Stairs. 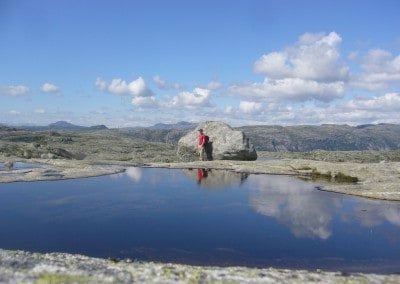 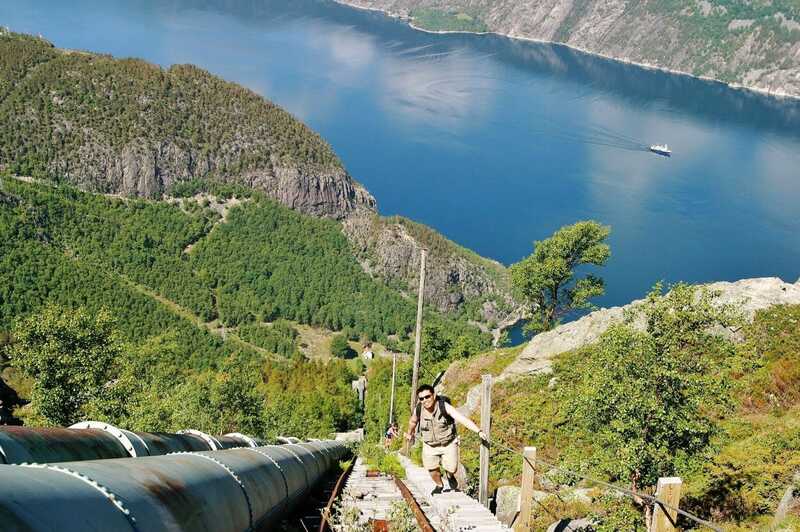 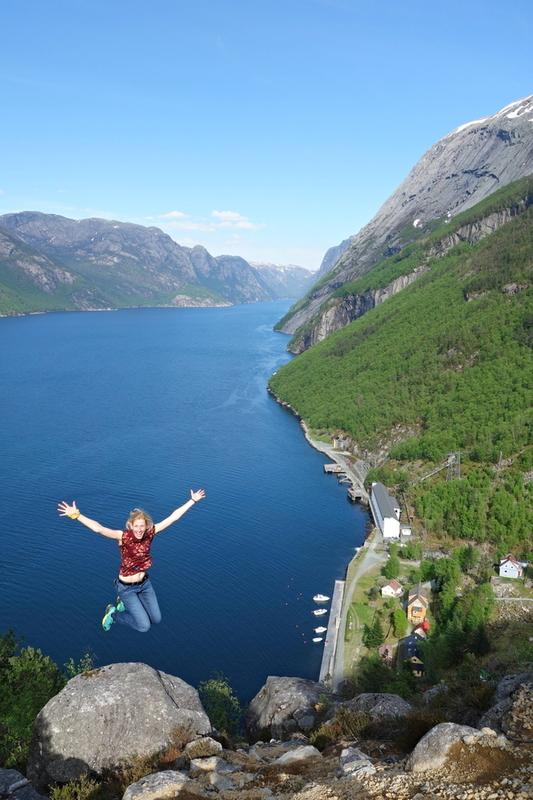 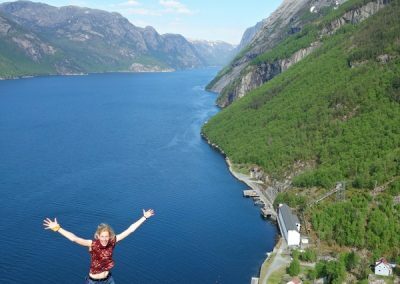 Alternatively coming from Trolltunga and Odda, spend a night in the Preikestolen area (Jørpeland or Forsand for example), hike Preikestolen the day after, then take the afternoon ferry from Forsand to Flørli, bring your car to Flørli. 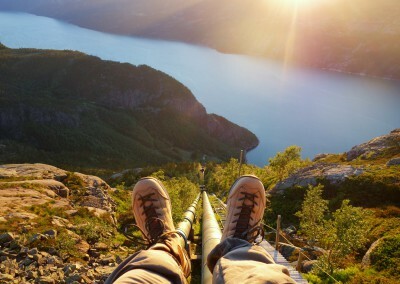 Spend the night in Flørli. 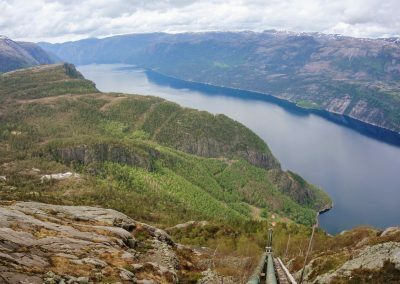 Two nights if you also want to hike the Flørli Stairs. 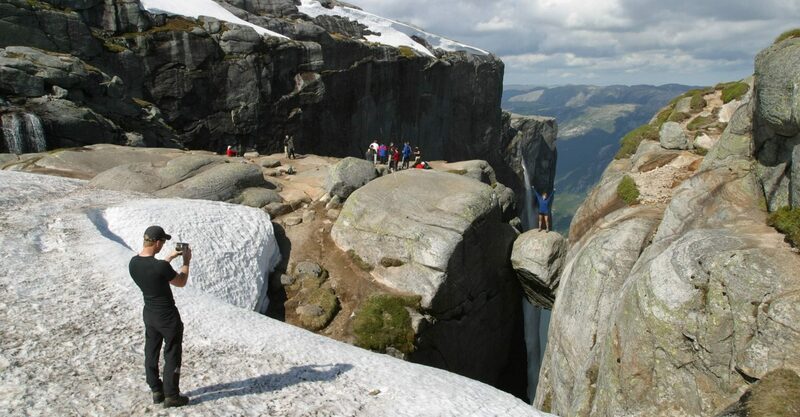 Then continue on to Lysebotn bringing your car and do the Kjerag hike. 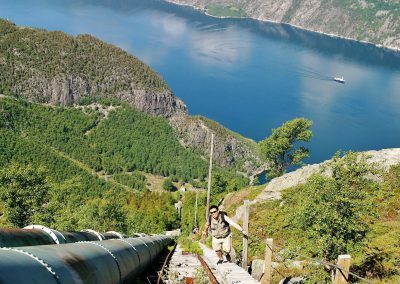 Public transport in Norway is not frequent – you need to plan this, but then it will work for you. 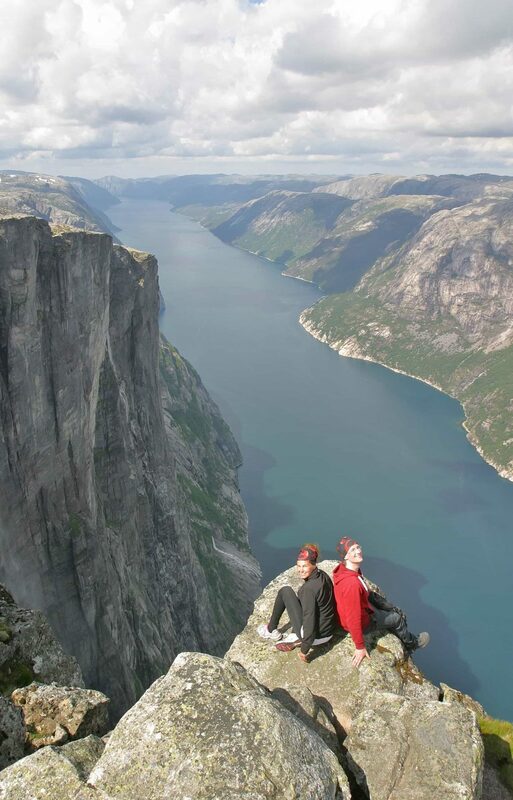 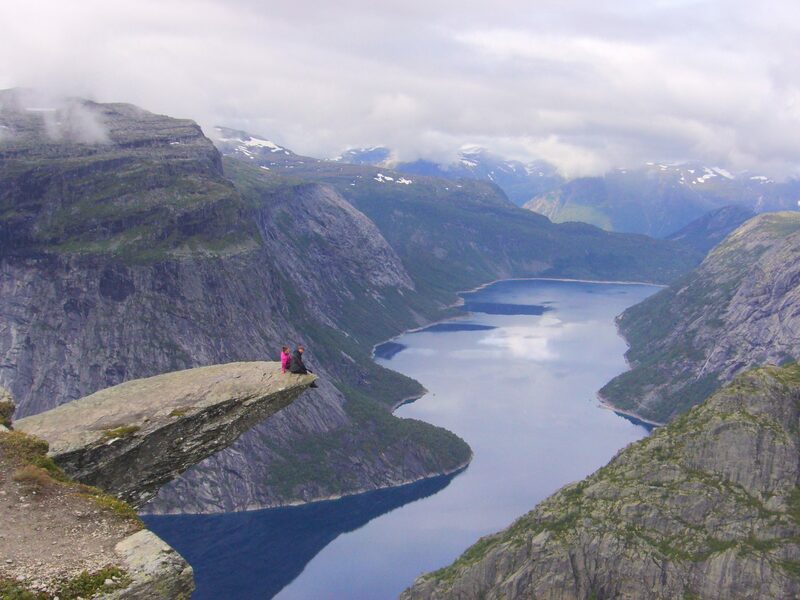 If you’re coming from Trolltunga and Odda, take the Nor-Way bus to Stavanger (via Aksdal or Haugesund). 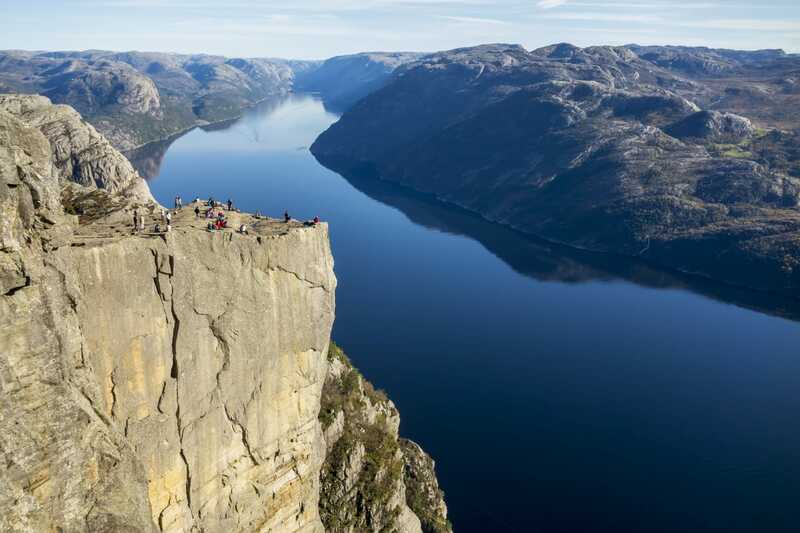 Spend the night in Stavanger. 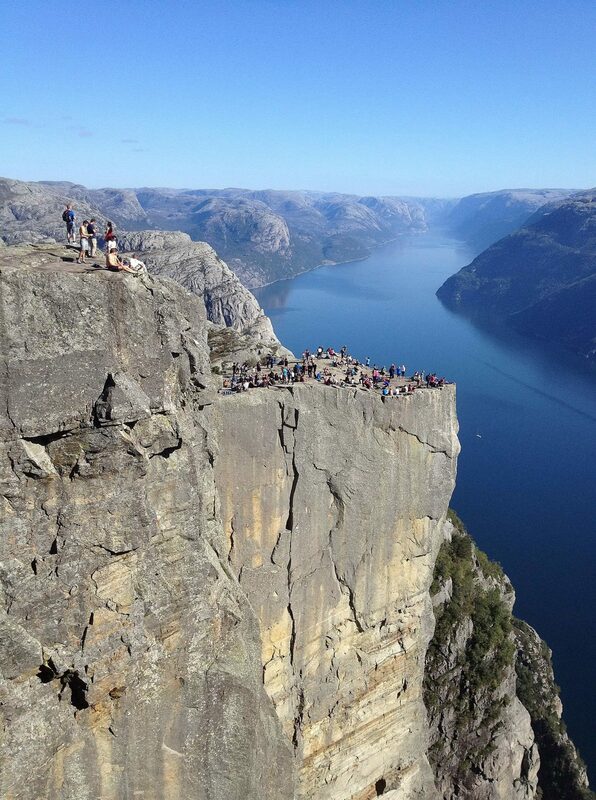 Then visit Preikestolen the next day. 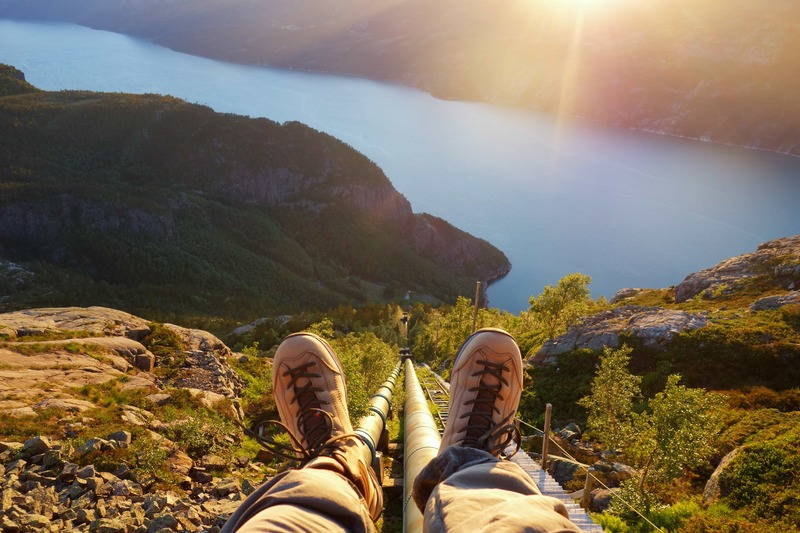 You can buy an all-inclusive ticket from Boreal or Tide, or buy tickets aboard the Norled ferry Stavanger – Tau and then the bus nr 100 from Tau – Jørpeland, then Preikestolen. 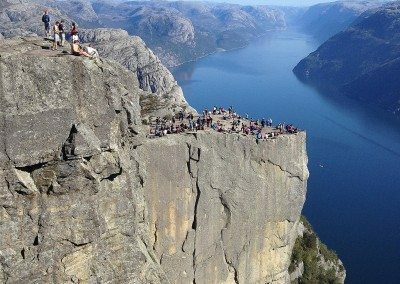 When you’re done hiking Preikestolen, take Pelles Reiser shuttlebus to Forsand quay and the ferry to Flørli from there. 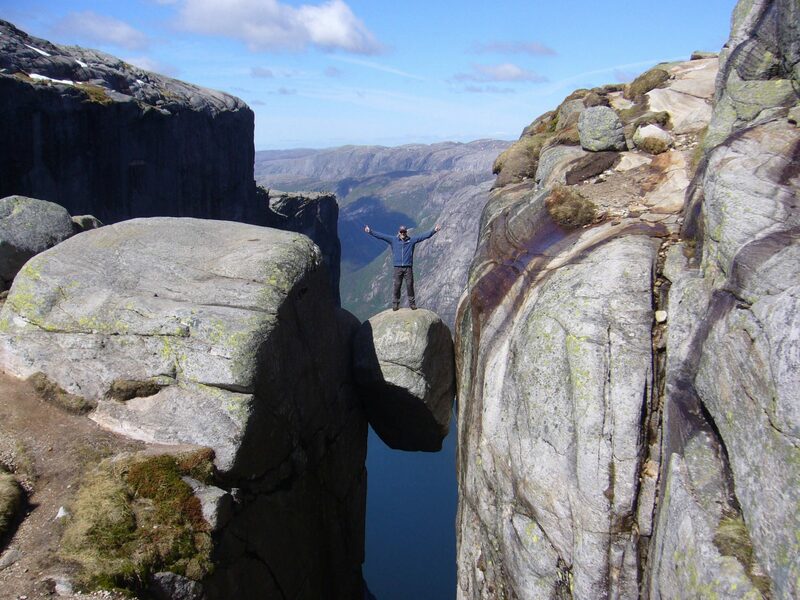 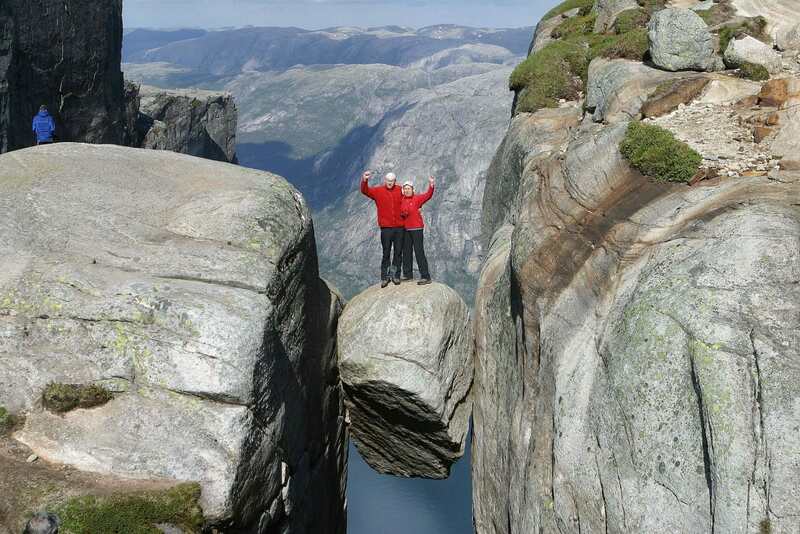 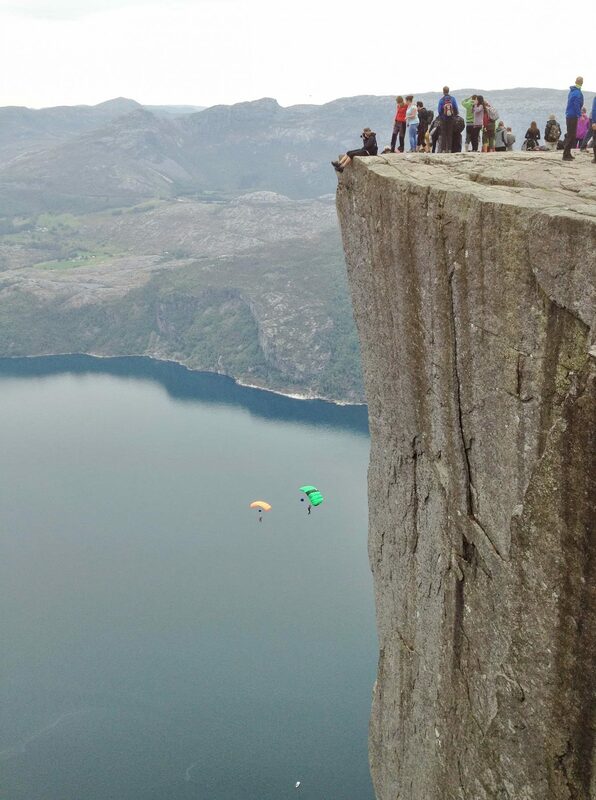 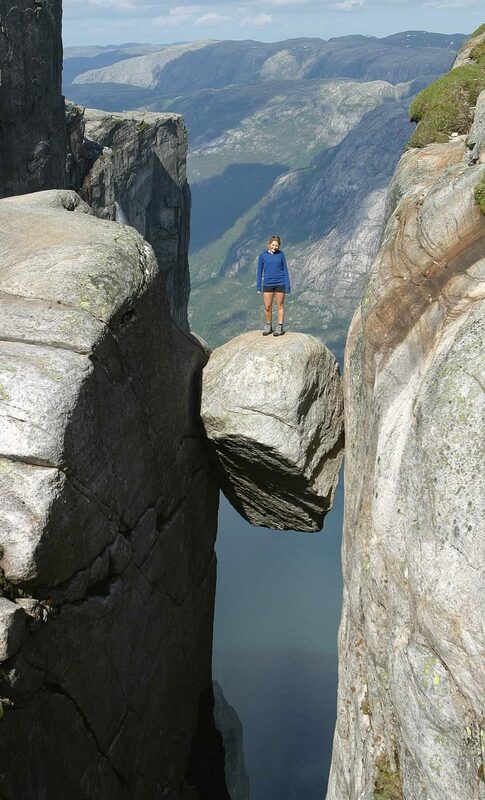 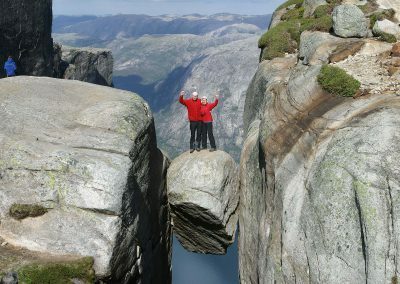 Next day, visit Kjerag without a car, check how here. 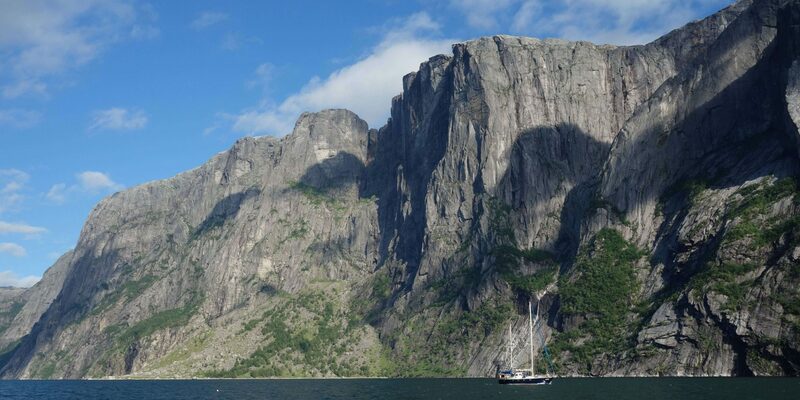 Every monday, wednesday and friday at 07:35 am there is a direct Kolumbus ferry from Flørli to Stavanger city centre, with arrival in Stavanger at 09:00 am.